FREE Carpet & Upholstery Cleaning Estimates! Cape Cod Cleaning » Carpet & Upholstery Cleaning » Cleaning of carpets, rugs, furniture and upholstery. 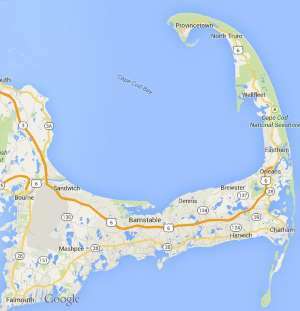 Free estimates from local Cape Cod carpet & upholstery cleaning companies. Get quotes on your carpet & upholstery cleaning project in Barnstable, Brewster, Bourne, Chatham, Dennis, Eastham, Falmouth, Harwich, Mashpee, Orleans, Provincetown, Sandwich, Truro, Wellfleet or Yarmouth, MA. Cleaning of carpets, rugs, furniture and upholstery. Bedroom carpet cleaning and odor removal. Renter had a dog. Room will not have furniture at the time of cleaning. Clean carpets in LR , hallway and DR - very old and 2 chairs. Approx areas (2 rooms) 14 by 18 ft ea. Hall way 18 by 3.5.ft Need it clean up for viewing- house for sale. Hello I am looking for someone to do a rental turnover service. I would need someone at least once a week some Saturdays and some weekdays. My scheduled needs for June and July are as follows: 7/1 7/8 7/13 7/27 8/5 8/12 My home is about 1000 square ft. My phone number is 617-306-0560. Just ask for Lou. Need about 12 feet of old duct work (supply) cleaned.